May | 2012 | Da Fooq. I’m the kind of person who needs to digest music for some time before I can make my own opinion about it. Sometimes I can listen to something that catches my attention, but after a while I discover that I actually find it boring and generic. Sometimes I listen to a record frequently in a short amount of time and thereafter never return to it again. Sometimes I hear a record that I just keep returning to, even after a lot of time has passed since the first time I heard it. These records are the very best ones, and I want to feature just one of these on here today. In these “In Retrospect” sections I will feature the very best newly discovered artist of the preceding month. I will try to make these with a one month delay, to make sure that I have digested the music properly. Yummy. 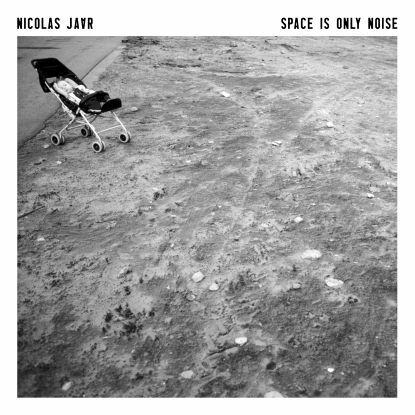 So – the star of april was, for my part, undoubtedly the young american musician Nicolas Jaar and his 2011 record entitled Space is Only Noise. Nicolas Jaar plays electronic music in which he maintains a steady, subtle beat that appears somehow stylish and calming; however, it can also simultaneously appear dark and at times even a bit sinister. Jaar incorporates various samples in his music, with these being everything from classic piano (on the track I Got A Woman) and saxophones (Keep Me There), to people talking and waves coming in on shore, as heard on the intro Être. By now, Jaar’s music probably doesn’t sound as being the kind of electronic music one can dance to, but he completely breaks this up on the track Mi Mujer (which is not featured on this record, but which I frequently listened to along with his debut full length). This track, together with the song Time For Us from the EP of the same name, displayed a new dimension of Jaar’s music for me. I find the beats a bit intensified on the EP, and I can totally see myself dancing in the streets of Barcelona after nightfall together with happy people I don’t know. But let’s get back to the record in question. As much as I could appreciate some of the samples on this record, I had a hard time with some others. For example on the track Specters of The Future. This song has a sample of a woman repeatedly yelling something, as if she was in another room, but it is impossible to make out what she’s yelling. I did not exactly find this annoying, as I know some people probably would, but I did find it challenging to enjoy the track, despite the awesome beat. The following song has some strange voice samples, too. Again, it’s not like they are horrible, but I just don’t enjoy them that much. If we leave these weird samples out of account, I still have to say that the best songs were on the first half of the album. I most definitely enjoyed the first 8 tracks more than the latter 6. All in all, I still think this is a great debut and I am excited to hear more stuff from Jaar in the future. Unfortunately, I missed his show at the Roskilde Festival last year, because I wasn’t aware of his existence – I hope he’ll drop by Scandinavia again soon, perhaps with a new album up his sleeve.